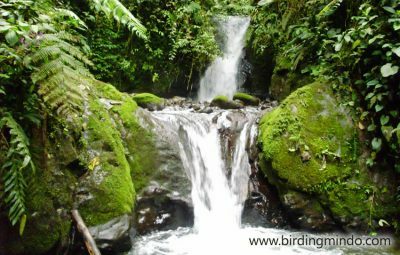 In October 1997 Mindo was named as the first Area of ​​Importance for the Conservation of Birds of Ecuador and South America. 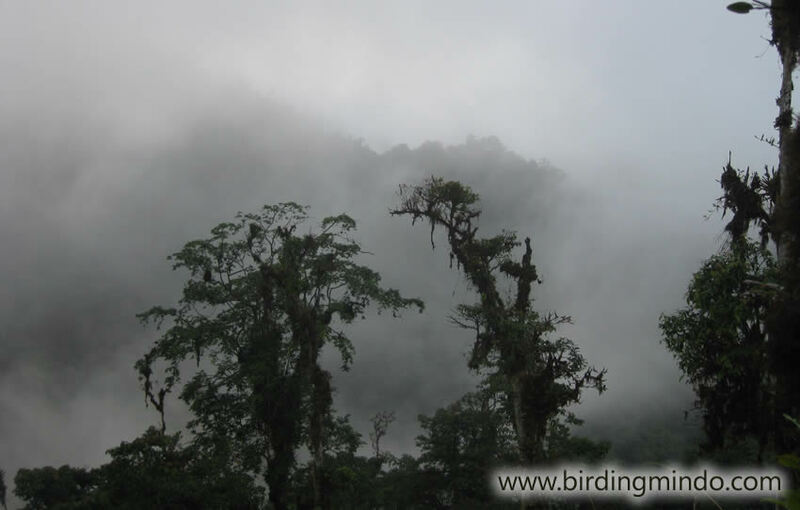 Thanks to this assignment the Birdlife program in Ecuador is initiated. 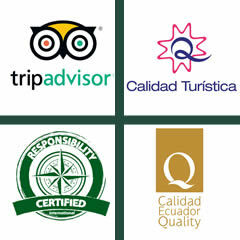 The village is on the Eco-route “El Paseo del Quinde”, special for the observation of birds and nature. Why is the region so biodiverse? Because we are 25 km away in a straight line from the crater of the Guagua Pichincha Volcano. The Volcano is 4.780 meters above sea level. While Mindo itselve is at 1.224 meters above sea level. There is influence of the Choco mountain range too. 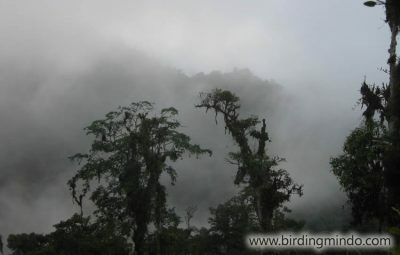 The difference in altitudinal floors leads to a Cloudforest with varied microclimates. The average temperature is 18 to 24 º C. There are more than 500 species of birds, 400 species of orchids, reptiles (pinocho-Anolis proboscis lizard), amphibians, insects, mammals and much more. Is it really that special? 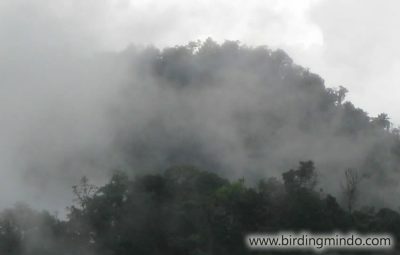 Mindo wins the first place in the Christmas Bird Count in 2000, 2006, 2007, 2008, 2009 and 2010. In 2016 the village received the great satisfaction of being the first again. The anual bird count is done in more than 1000 places. During your stay at our lodge you will have plenty of opportunities to walk around Mindo. So let’s have a closer look at the village. What does “Mindo” mean? There are two interpretations of the meaning of the word Mindo (mindu), one of them comes from the word Mindalaes, meaning merchants. Another version describes that this word is derived from the Quichua language. According to this interpretation Mindo would mean Land of Guavas, because of the abundance of this plant. What was it like a long time ago? In the old days, the era of the Incas and Pre-incas, Mindo was considered one of the most important “tambos” on the Esmeraldas-Quito route. A tambo is a restingpoint on an important road. The people of the Chasquis and Mindalaes rested and exchanged products and merchandise. The area itselve was inhabited by the Yumbo tribe, people who were qualified as; peaceful, friendly and noble. However, they were conquered by their enemies, while on their way to the Kingdom of Quito (CEANM, 1994). Mindo is one of the oldest parishes in the region. On May 20, 1861, the town was declared the first parish in the province of Pichincha by the President of the Republic at that time. The conservation of nature started with 2 Germans. One of them came to teach in the school of Mindo on carpentry and mathematics. The other was an artist, sculptor, painter and photographer. The two had a vision of a future for Mindo. At that time the population was living of the exploitation of wood, hunting animals in the forest and doing extensive cattle farming. The two Germans began to work together with others, to form a Corporation to protect the forest. This Corporation joined together with Earth Alive. A protected forest was created in April 1988. It has an extension of 19.537 hectares (Gad, 2012). Now it was necessary to find an activity to generate economic benefits to the population, and to let go of the extractive industries. The global fund for the conservation of nature (WWF) supported this idea. An interpretive Center, ecological trails and environmental education programs were initiated. In 1991 the Information Center “pacaso and pacaso” started to promote tourism and activities such as tubing and training to local guides. Thanks to that, Mindo was mentioned in the guidebook Lonely Planet.